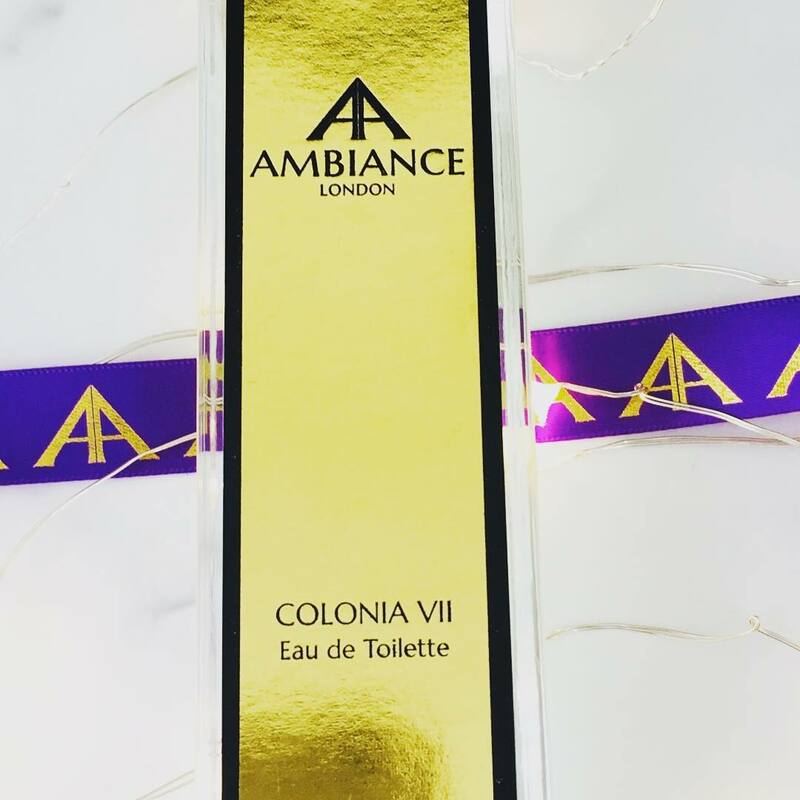 Ancienne Ambience Colonia Seven VII: Pink Grapefruit, Blood Orange & Musk EDP 100ml. My first post in a long time as I have been very under the weather. Anyhoo onwards and upwards!! Ancienne Ambience was created by Adriana Carlucci with just 6 candles and a small jewellery collection, how amazing is that?Antonia’s family have dealt in ancient art/antiquities for generations and she created her products to compliment the offerings of the gallery. She created luxury goods with an ancient theme and oh boy has she done it very well. COLOGONE EDP – Uplifting, zesty, cooling: They feature a whoosh of notes like lemon, bergamot, orange, grapefruit, mandarin. (These notes are also slightly randomly referred to as being ‘hesperidic’ – after the Hesperides, the nymphs from Greek mythology!) Fresh fragrances smell clean, and usually come in the eau de toilette and Cologne versions. This stunning fragrance from Ancienne Ambience has been keeping me fresh & uplifted all summer. I use it on a daily basis because it is that morning burst of the grapefruit effervescence that helps wake you up and get your mind and body going. Then the lovely warming blood orange comes through as it starts to soften with the hint of must that keeps this fragrance making you feel fresh all day. Some citrus fragrances fade very fast. I found this to have legs and staying power. When settled this smells of a beautiful sweet lemon, warm blood orange and a hint of musk, absolutely beautiful and something you keep smelling. I had myself spritzed from head to toe in this fragrance and it made me feel fabulously fresh all day. It would also be a wonderful fragrance to take on holiday as it is beautiful day or night and really does give you that air of confidence that you are beautifully scented from head to toe! I am a bit biased when it comes to Ancienne Ambience as I have been in love with it for years. Their soaps are so good too. I love the Almond milk & Rose. The Rose Pure Floral Water which I keep in the fridge, is a natural hydrolat, skin loves it .. Wonderful for a pure tropical moment or just out of the shower on a hot day all over! The Damask Rose Hand & Bodywash is divine too, it leaves your hands beautifully & lightly scented. Paraben, sls & cruelty free the products are non drying and gentle on skin. It is absolutely beautiful. I would like to try the other hand and body washes but I cannot get past this one, I am on my third! They are such a beautiful brand, everything smells amazing including your parcel from them, they just make you feel really special and you know you are getting that quality, you can feel and sense it ….. This entry was posted in Fragrance, Fragrances, Health & Beauty, Health and Beauty, Perfume, Scent, skin friendly and tagged Ancienne Ambience, Ancienne Ambience Colonia Seven VII:, Artisan Perfumes, Blood Orange & Musk EDP 100ml, Citrus, Cologne, cooling, EDP, Ethical, Fragrance, Luxe, Luxury, Niche, P, Paraben and SLS free, Pink Grapefruit, Scent, sustainable, Uplifting, Zesty on September 7, 2018 by the40somethingbeautyblogger.